The scorpion is a very unusual battleship, in that it's the only battleship specialised for electronic warfare rather than damage output. With a 6/8/4 slot layout, the scorp has the mid slots that other shield tanking battleships can only dream of. It has up to 4 launcher hardpoint and up to 4 turret hardpoints, but no bonuses to either - instead it receives a 15% bonus to ECM jammer strength (the same as the blackbird and griffin), and a 20% bonus to optimal range and falloff - that's twice the bonus that the blackbird gets! With a fairly standard fit, the scorpion is capable of jamming right out to the game's maximum locking range of 250km, making this the most effective long ranged jamming ship in the game. It's worth noting that while rarely used for this purpose, the scorp is also the only ship in the game to get a range bonus to ECM burst modules (an area of effect version of the regular ECM jammer), bringing the effective range of these modules up to around 24km. With the strength of its ECM bonuses, most scorps are fit as ECM platforms first and foremost. With its lack of bonuses and split weapon system, the scorp's damage output is fairly weak at the best of times and is usually treated as a secondary concern (it does offer 75m3 worth of drones, however it still lags far behind other battleships as a damage dealer). It's most common to see the scorp fielding a rack of 4 cruise launchers, with two high slots left for utility (usually neuts or smartbombs). The damage output from these is fairly meagre, and is probably not going to be high on your list of concerns. When it comes to the mid and low slots, there are two schools of scorpion fitting. The first is to fit it with a light armour tank, allowing the maximum number of mid slots to be used for ECM modules (and potentially a few sensor boosters). The armour scorp tends to be quite fragile, but its jamming capability is excellent as you'd expect. The second option is to fit a shield tank, allowing low slots to be used for signal distortion amps to increase jam strength. This allows the possibility of a stronger tank (usually shield tanked scorps use around 3 slots for tank which isn't much different to the armour variant, but they can potentially use more or less) at the expence of jammers. Shield scorps are also less likely to be sensor boosted, bringing their maximum jamming range down to around the 150km mark. Regardless of which fit you're facing, scorps tend to be pretty fragile. This combined with the large number of jammers that it can fit makes the scorp an excellent primary target, and in a gang engagement you should try to get the scorp(s) off the field as quickly as possible. It's fairly likely that any scorpions present will be engaging at long range (although some will deploy at relatively close range to take advantage of friendly remote reps), however with their relatively low agility they're significantly easier to catch (either by probing or via a fast tackler) than most of the lighter ECM ships. Speaking of gang engagements, the scorpion is pretty exclusively a gang ship - while it's theoretically plausible to use a scorp for solo PVP, I've never seen one and I doubt it would really be practical to do. As with the blackbird, there's a small possiblity that a scorpion might be bait fitted; mid slots stacked full of shield tank in the knowledge that it will be an early primary, with the aim of soaking up as much fire as possible rather than actually jamming anything. With this kind of fit, the scorp can field one of the most impressive shield buffer tanks of any t1 battleship (although still not as strong as some of the potential armour tanks). Bear this in mind if you find a scorpion taking longer than you'd expect to die, especially if nobody has reported being jammed by it. The shield scorpion is one of the few t1 ships where EM damage is still probably your best call (followed by thermal) - this is because its rig slots are often used for ECM and targeting rigs rather than tank. Against an armour scorp, its rare to see any active hardeners so explosive followed by kinetic should be your preference. The scorp's own damage type could be anything, but it's fairly inconsequential due to the low damage output. What would be much more useful if you expect to face a scorp is to have key ships in your gang fit ECCM - they'll probably still get jammed, but it'll take more jammers to do it leaving the rest of your gang able to bring the scorp down. Whereas the battleships of other races are each fairly distinct, the three amarr vessels are surprisingly similar - all are turret wielding armour tankers with very similar slot layouts, and the main differences are really derived from the ships' bonuses. With an 8/3/8 slot layout, the geddon has the highest low slot count and fewest mids of any battleship. It only gets 7 turrets (compared to 8 on the apoc and abaddon) however with a 5% per level bonus to turret rate of fire and a whole 125m3 worth of drone bay and bandwidth, the geddon has the highest damage output of the three. The geddon's second bonus goes to turret cap use, helping it to keep its cap-hungry large turrets in check. Despite its low mid slot count, the geddon is quite a versatile ship making it quite popular for solo and small gang use. It's turret range is excellent, typically between 45 and 60km with pulse lasers and scorch and 20-30km with multifrequency for maximum damage. Unlike the tempest or maelstrom which can achieve similar ranges, the geddon's pulse lasers are almost all optimal range, meaning even at 50km it can still be dealing its maximum damage output. In addition to its turrets, the geddon is the only amarr battleship to offer a utility high slot, which you can expect to be housing a heavy or medium neut (or a remote armour rep if operating in a suitable gang). To top it off it's also the fastest, although a maximum speed of around 800m/s is nothing to write home about. As you might expect, the geddon's biggest weakness is its mid slots - this is a ship which has to be quite selective with its modules, effectively forces to pick three from MWD, point, cap booster, web, and any other mid slot modules that a damage dealing battleship might want (for example sensor boosters or ECCM). The most common choices for small gang and solo are probably MWD/point/cap booster and MWD/point/web, however some pilots do choose to drop the propulsion mod to mount the other three - a tactic the geddon can get away with thanks to its impressive range. Each of these options presents its own strengths and limitations - a geddon without a cap booster will be very vulnerable to neuting, particularly if it has to run its MWD, while a geddon without a web can be beaten more easily by getting under its guns. Without a prop mod, the geddon is at your mercy from a range control perspective providing you don't enter its web range (and even then, you may well just be able to MWD back out). Figure out what fit your opponent is using from their speed and which EWAR they're using on you, and act accordingly. The geddon's drones form a fairly significant portion of its damage output, and its most common for them to be a flight of heavies. This of course leaves the ship with no room for any lighter drones, and potentially in danger from lighter ships which are able to engage under its guns (a danger which is lessened slightly by the presence of its neut if it has one). While heavy drones can also be outrun by fast ships under MWD, kiting around with a bloated signature radius next to a battleship with this kind of range and damage potential is probably not a good idea. In terms of tank, the geddon tends to be fairly light for an armour tanker despite its good low slot count - this is mainly down to its contrained fitting, making it difficult to fit EANMs or active hardeners without sacrificing damage mods. It's quite rare to see an entirely active tanked geddon (possibly due to its cap dependence), however both pure buffer and combined buffer-plus-rep fits are popular. While a single large rep on the geddon is never going to tank anything like as much as some of its rivals, it can effectively extend the life of its buffer quite well in a small scale engagement and shouldn't be discounted. Since most geddons will only be capable of fitting the weaker adaptive nano platings rather than EANMs or active hardeners, explosive will usually be your best choice of damage type followed by kinetic > thermal > EM in the usual order. The majority of the geddon's own damage output will be split between EM and thermal, with a different flavour of drone (in particular explosive) as a possibility. The primary missile battleship of the caldari range, the raven has a bit of a reputation as a PVE ship. While this reputation is well earned, it is by no means useless in PVP. In many ways, its reputation makes it a more effective PVP ship by leading opponents to quite consistently underestimate it. The slot layout of the raven is like a tempest in reverse - 8/6/5 with 6 launchers and two utility highs (with turret hardpoints should it want to fit them) and 75m3 worth of drones. Like the tempest, most ravens choose not to fit a secondary weapon system in those last high slots, with neuts or other utility modules being preferred. When it comes to bonuses, the raven gets a 5% rate of fire bonus (note that since this is rate of fire it affects all missile types, not just kinetic), and a 10% bonus to missile velocity (i.e. range). This lets the raven reach out to 30km with torps (or 45km with javelins), and the maximum of 250km with cruise missiles (and that's without range enhancing rigs). With torps in particular, this offers the raven a great deal more flexibility than other missile ships like the typhoon. The most common raven fit in PVP is the torp raven, largely because of its excellent damage output - with navy torps and a max-damage mix of drones, it can put out one of the strongest damage outputs of any battleship, in a similar region to that of the megathron. However it's worth remembering that due to the massive explosion radius and tiny explosion velocity of torps the real terms damage output will be significantly lower unless the target is webbed and target painted, and reduced to almost nothing against small targets (as a result, most torp ravens fit either a painter or a web, and potentially both). Cruise ravens are not uncommon either, and you're especially likely to encounter them during empire wars or when facing a defensive gang where people may have converted their ratting ships to make them viable in PVP. Obviously the range on these ships is excellent, however their damage output is far less than the torp variant. It does deal far more damage than any other ship could at extreme ranges (in fact against a large target it should outdamage every other battleship outside of about 120km), however the long travel time of missiles - up to 30 seconds as maximum range - and the reduced damage it deals to smaller targets make it a poor sniper. With its slot layout, the raven is almost always shield tanked (they can be armour tanked for use in a remote rep gang, but doing so ruins their damage output and is very rarely done). Most PVP fit ravens use a buffer tank, with moderate to strong EHP for a shield tanker. It's also possible to active tank them reaonably well, although not anything like as impressively as the mael. PVE ravens are (as you're probably aware) usuall active tanked, and so any ratters you catch or PVE-turned-PVP fits may potentially continue to mount one too. Unlike the typhoon, the raven is pretty slow - a good 300m/s slower in fact. This means that it's still not a great kiter despite its increased range, nor is it all that good at getting into range if it doesn't start there. Of course, if you're engaging from outside the raven's torp range you probably aren't pointing it anyway, so the point is somewhat moot. As with any missile user, and especially so when facing torps, keeping your speed high and signature radius low is essential here and will drastically reduce the damage you take from the raven's missiles. Particularly if the raven has no web or if you engage outside web range, you should be able to reduce incoming damage this way even in another battleship. Providing you're able to avoid some or all of its damage like this, you'll generally find the raven weaker than comparable battleships (if you're not able to, you may find exactly the opposite)! Obviously at close range you should also beware of any neuts that the raven might be fitting - usually they will only be mediums due to powergrid contraints, however some fits may include one or two heavies. Others may not fit neuts at all of course, it's always possible. Ravens can potentially deal any damage type and you should expect a competent pilot to carry a range of options and use the one which would be best against you. Against newer raven pilots, don't be surprised if they just use kinetic - it's not uncommon for someone to not even realise that the raven's bonus is unusual in this way. In terms of the damage you put out yourself an EM rig is fairly likely on a buffer setup, however since raven's typically field multiple invulns the stacking penalty on such a fit actually leaves EM and thermal about equal. An active EM hardener is possible of course, so this is not guaranteed - thermal may be a safer alternative. An active setup is less likely to use a resist rig or an active hardener, so EM should be an easy bet here. If the geddon is the damage dealer of the amarr lineup, the apoc most definitely wins on range. This ship swaps the geddon's rate of fire bonus for one to turret optimal, boosting the already impressive range potential of energy turrets even further. In addition to this it swaps a low slot to a mid for an 8/4/7 slot layout and gains an 8th turret, although it loses out on drones with only 75m3. Despite the extra turret, the apoc's damage output with pulse lasers is left considerably shy of what the geddon can put out, although its still on par with ships like the tempest. However, the range at which is can apply that damage output is very impressive - between 70 and 90km with pulse lasers and scorch is fairly standard, with almost all of that being optimal range; few other battleships can deal so much damage at these ranges, and with the tracking of close range turrets the apoc can do it very consistently. This ship is the bane of anything that likes to kite - drakes and cynabals beware. Aside from its range, the pulse apoc is fairly normal - it can mount a reasonable buffer armour tank (or an active one, but I very rarely see them) but nothing incredible, and its drone compliment is nothing special (usually a flight of mediums and a flight of lights, although variations will exist). The additional mid slots on the apoc give it more options than its tier 1 brother, allowing it to fit propulsion, a cap booster, and its choice of tackle. Many apoc pilots will choose to substitute one or more of these slots for tracking computers in order to enhance the ship's already impressive range, especially when working as part of a gang (which apocs usually are). Another interesting feature of the apoc is its capacitor - back before this ship was given its optimal range bonus it had one to cap regen instead, and rather than removing it CCP simply merged it into the attributes of the hull itself. The amarr battleships already have strong cap regen to compensate for their guns, and with this in-built bonus the apoc's is significantly stronger than either of the other two. As a result, the apoc is surprisingly resistant to neuting and is even sometimes used as a neuting ship itself, particularly when fighting capitals. The pulse apoc is deadly to anything in the 20-90km range bracket, and as I mentioned earlier you probably shouldn't try to kite it. Given that they often fit tracking computers, don't be surprised if its tracking up close is more impressive than you'd expect too. However, in a close up brawl the apoc tends to be underperform when compared to most other battleships - neither its tank nor its damage output are all that strong, and it can't bring one up to par without sacrificing some of the other. This is made even more diffiuclt by the same cpu constraints that all amarr battleships face, preventing the ship from exploiting its low slots as much as it might otherwise. Get into your own ideal range (or as close as possible if flying a smaller ship), and you'll probably find this ship far less of a threat. With its range bonus, it's only natural that the apoc sometimes gets used as a sniper with beams. Tachyons, the largest calibre of beam laser, are notoriously difficult to fit and the apoc can only barely accomplish it at the expensive of almost all of its tanking ability. Having done so, such a fit is potentially capable of hitting right out to the 250km hard lock limit however, and with a relatively strong damage output and alpha. A more conservative fit with mega beam lasers will still be able to mount a light to moderate armour tank and reach out to the 200km region, although its damage output is generally slightly less fearsome in exchange. As with any sniper, your priorities when engaging such a fit should be to avoid sitting still and to attempt to get either a probe hit or a fast tackler to the apoc's location. Tachyon apocs especially will melt very quickly once tackled. As with the geddon, cpu constraints mean that the apoc is unlikely to fit any active hardeners and so the standard explosive > kinetic preference should hold. It's damage output with scorch will be almost all EM, although at closer ranges it'll deal a reasonable amount of thermal too plus whatever drones its fielding (probably thermal or explosive). The rokh is the ultimate sniper, able to hit out to the 250km wall with relative ease (and unlike the raven, it does so instantly). With an 8/6/5 slot layout and 8 turrets (plus 50m3 of drones) the rokh is the only caldari turret battleship. Just like its smaller counterparts the ferox, moa and merlin, the rokh is primarily a tanky rail ship with bonuses to shield resists and optimal range. Being a shield tanker, the rokh is able to dedicate most or all of its low slots to damage and range (not that it needs additional range, a single tracking enhancer allows it to hit out to the hard limit with 425mm rails). Like the maelstrom, this allows it quite exceptional dps - with rails the rokh can offer an offensive capability similar to a close range battleship at almost 100km, or that of a gank cruiser at 250km. With blasters on the other hand, it is capable of matching the damage output of the megathron and hyperion, despite lacking their damage bonus (excluding of course the shield hyperion, although it beats that by a long shot on the tanking front). Range with blasters is quite reasonable thanks to its optimal range bonus, effective out to around 20km with antimatter or 40km with null. The rokh's tank is probably its next biggest asset, with the most impressive shield buffer tank of any battleship - with a four slot tank (allowing a MWD and point), it fields upwards of 130k EHP. Sniping setups will typically be a bit weaker due to slots given over to sensor boosters and the like, but given the comparatively small number of such modules that the rokh requires in order to reach extreme ranges, it's generally much tougher in a sniping loadout than rivals such as the apoc. It's also possible to fit a very strong active tank on the rokh roughly on par with that of the maelstrom*, a fairly popular option for solo blaster rokhs. Fighting a sniping rokh is much like any other long ranged sniper, except that it will probably take you longer to kill once you get close to it (not a huge problem, since it won't be able to hit you back at close range); get probes in the air and use fast tacklers, don't approach directly or sit still, and you should be fine. Thanks to the relatively fast rate of fire on rails, the volley damage of the rokh is lower than a sniping apoc or mael would be, so there's less danger of being alpha'd (damage over time however is roughly the same). The blaster rokh is a little more interesting - in terms of sheer gank and tank its actually a rival to the gallente blaster boats, not to mention it has better range than either of them. The rokh does however have a couple of disadvantages - firstly, it's pretty slow despite being a shield tanker - over 100m/s slower than a plated mega. Secondly, it had to sacrifice tank in order to fit additional mid slot modules such as a web or cap booster, which is a particularly big problem if the rokh is active tanked (active tanked rokhs will generally just have point, MWD and cap booster with the rest tank). Finally, the rokh lacks the utility of the mega since it has neither the neut nor the tracking bonus. Despite these factors, it remains a powerful ship - it's probably not quite as big a threat solo as a mega or hyp (or at the very least its easier to escape from), but as dps in a small gang it's every bit as dangerous. When fighting a blaster rokh, don't underestimate it's range simply because it's a blaster ship - this thing will hit you just fine anywhere inside point range. Your best bet is to get in close, assuming the rokh isn't fitting a web (which it may well not be, particularly if active tanked). A buffer rokh will simply require plenty of dps to wear it down, while an active tank may require quite heavy neuting in order to break it. The rokh's drones are probably not going to be a major concern - with 50m3 it can either carry 5 mediums or 2 flights of light drones, with neither option being of too great a consequence. As with the raven, EM and thermal are likely to be quite similar on a buffer tanked rokh (with EM potentially higher in the presence of an active EM hardener), while an active tanked setup should be weakest to EM by some margin. Be aware though, the chances are the rokh's resists will be very high across the board. Most if not all of this ship's damage output will be kinetic and thermal, so these are the damage types you should guard against if you have the choice. *The rokh's much more generous CPU actually makes it easier for it to fit a t2 XL booster than the mael, meaning with some standard fits the rokh will potentially outperform it. The mael pulls ahead once you start to consider overheating, combat boosters/gang links, and deadspace shield boosters, all of which combine with its shield boost bonus more effectively than the rokh's resist bonus. The rokh is also slightly less cap stable with its booster due to having to run its guns, however its larger cargo hold makes this somewhat irrelevant. The abaddon is probably one of the strongest brawlers of the whole battleship lineup, with a combined gank and tank exceeding that of any other. The slot layout of this ship is identical to the apoc's with 8/4/7, 8 turrets and 75m3 of drones. However where the apoc had bonuses to range and cap use, the abaddon gets straight up turret damage and armour resists. While it's damage output is still typically just shy of the armageddons, the abaddon can put out around 1000 dps without much of a problem. As with the geddon, this is effective out to around 50 or 60km with scorch and 20 to 30km with multifrequency, and unlike the apoc the abaddon will generally aim to be at the closer end of that scale. Drones follow the typical pattern of either mediums and lights or a high-dps mix, however its the ship's turrets that deal the overwhelming majority of its damage output, more so than is the case with the geddon. The tank on the abaddon is really quite impressive, ranging from about 130k EHP on a very gank-focused setup up to over 220k when focusing entirely on tank (and it's worth noting, such a setup can still put out upwards of 600 dps even then). The majority of the abaddons I've encountered have been buffer tanked, although you do sometimes see them with a dual rep (or very occasionally triple rep) active tanked setups. The tanking capability of these is still very impressive (although not quite as much so as the hyp), however the problem with them is capacitor - without a cap use bonus the abaddon's guns consume a huge amount of energy, to the point where it almost needs a heavy cap booster running constantly just to keep them going. This doesn't leave a great deal of cap left for running an active tank, and as a result an active tanked abaddon will chew through its boosters very quickly indeed. 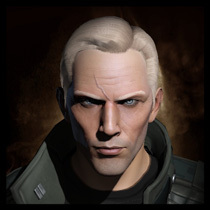 And this really brings me on to the abaddon's main weakness - its cap. While the base capacitor of the abaddon is relatively strong, the consumption from its turrets is just incredible and puts a lot of pressure on this ship in a prolonged fight. Expect every abaddon to fit at least one cap booster (if they don't, their guns alone will cap them out after about 2 minutes of firing) and expect them to use it liberally. Neuting is probably a very good idea particularly if you expect the fight to go on for some time - while you probably won't prevent the abaddon from firing, you will force it to expend its cap boosters quickly and this ship doesn't have an especially big cargo bay (525m3 as opposed to 675m3 on the hyp). Similarly, encouraging the abaddon to run its MWD will drain cap quickly. Speaking of running its MWD, the abaddon is a really slow ship, topping out at less than 700m/s (of course its impressive range makes this less of a drawback than it would be otherwise). Given their tank, it's fairly common for abaddons to be used as bait ships; their impressive damage output also plays into this, making it much more difficult to ignore than other common bait ships such as the drake or damnation. If you have the choice, you're probably better off trying to jam or tracking disrupt the abaddon and focus on its gang-mates instead, regardless of whether the ship is intended to be bait or not (either way, it's probably going to be one of the toughest ships on the field). If you do have to take its fire, you should probably try to get in as close as possible (although beware of its potential to fit a web) - its best damage output is inside 20km, but pulse lasers do have the worst tracking of the close range weapon systems and given their excellent range you're not going to avoid it by being far away. At the close ranges where it usually operates, the abaddon is going to be dealing significant quantities of EM and thermal damage with a trend towards EM at longer ranges. As with the other amarr battleships, cpu constrains mean that an active explosive hardener is unlikely leaving explosive > kinetic as best preference. That said, all of the abaddons resists are likely to be very high (between 60 and 70% for its lowest resist! ), so it's really just the lesser of four evils! Something I haven't mentioned in any of the above is the possibility of a smartbombing fit (referred to by Agony pilots as a 'durka'). Smartbombing battleships substitute their high slot weapons for a full rack of large smartbombs. These weapons deal a small but consistent amount of damage to every ship within a certain radius of the user (between 5 and 6km for a large smartbomb). Unlike most weapon systems, the damage output of smartbombs is absolute and is not affected by the speed or signature radius of the target, meaning they will deal their full damage even to frigates. While the damage output of a smartbomber (about 300 dps or 2-2.5k per volley) may not mean much to another battleship or even a cruiser, it's enough to destroy lighter ships before their pilots are able to respond to the threat. The second scenario is that you'll be roaming in a frigate-heavy gang and you'll encounter a lone battleship. Taking the battleship to be an easy target your gang will swarm in for the kill, only for that battleship to open up with smartbombs once a significantly portion of your gang is within range. This can be an incredibly destructive tactic, with the ability to wipe out entire frigate gangs with relative ease providing they are caught unawares. Both of the above tactics rely on surprise - if the target knows that the battleship is smartbombing before they initiate warp or engage within smartbomb range, they are both very easy to evade. With the roaming smartbomber in particular, an unsuccessful attack (or even a successful one which leaves a reasonable number of survivors) can often mean the death of the battleship once its opponents begin to return fire from outside of its operational range. With this in mind, most smartbombers fit for survivability. The most common way of doing this is to field a moderate buffer tank along with a large number of warp core and inertia stabilisers (in lowsec you may find them with an active tank in order to remain on gate while taking gate gun fire). This allows the battleship to engage recklessly and still have a good chance of escaping the fight should things turn against it, especially if a large proportion of the enemy tacklers have been destroyed by the initial attack. The key to fighting a smartbombing battleship is to be aware of the danger before it's too late - always be suspicious of a solo battleship especially if you seem to have caught them too easily. If you see a battleship sitting just off a gate (that is, about 5 or 6km to one side) or on a bubble, or if a battleship warps into either of these positions while your gang is present, it is almost definitely a trap. If you're in a frigate gang, I recommend assuming all solo battleships are fitting smartbombs until you can confirm otherwise. To determine whether smartbombs are present, watch for turret or missile effects and also make use of the 'look at' function to check whether the target is fitting turrets (if applicable). In larger gangs it can also be a good idea to have one or two people fit ship scanners which can be used to confirm whether or not smartbombs are present (as well as doing the same for cyno generators - a separate issue entirely). Until you know there are no smartbombs, have your gang orbit outside 6km (that is, outside the smartbomber's effective range). If smartbombs are confirmed as present, just continue engaging at this range until the target is destroyed - providing everyone keeps their wits about them, you can often send the durka pilot back to their clone bay without even a single killmail. Note that sometimes you'll encounter two smarbombers at the same time; this is a little trickier since orbiting one target at 6km can easily bring you into range of the other. The nice thing about smartbombers however is that since they have no guns, you don't need any angular velocity to stay alive. This means you can actually just hit keep at range at about 7km and you should be able to remain well out of smartbomb range without getting too close to your target's wingman either. It's possible you might even encounter a whole gang of smartbombing battleships (sometimes delivered via a titan bridge). These ships will usually be quite heavily tanked against their own damage type (usually EM), and will try to drop themselves as close to your gang as possible. A large enoughgroup of such ships can potentially destroy gangs of much heavier ships* in very short order! With enough smarbombers, almost any fleet can be in danger providing they are all clustered into a small area. Again, watch for things which look suspicious (whether it's a hostile battleship gang 'caught' in a bubble, or just a solo HIC who got tackled a little too easily - a likely candidate for a cyno). If you suspect a trap, engage from range until you know otherwise. Any battleship can be fit for smartbombing, however the most popular for the job tend to be the typhoon, armageddon, rokh and megathron. Smartbombs come in all four flavours of damage, however most pilots fit the EM smartbombs due to their lower fitting requirements. * This is a recording of a trap Agony laid back in Providence against Razor Alliance. There's a lot of waiting around at the beginning of the video, go to 04:00 for the start of the action. At this time, ArmourHAC gangs were all the rage and nobody had really developed a counter for them yet - much like frigates, their low signature radius made them very hard to kill. Agony baited then with what appeared to be a standard BS gang, having them chase us into a bubble only to begin smartbombing and swiftly wipe out most of the larger Razor fleet. The neutrals you see on the field at the end were an allied gang who came in to help mop up anything which got out of range. Thanks for this guide! I'm just entering level 4 missions myself and it is a huge help. I'm curious to see if you'll cover faction battleships, marauders, or T3 cruisers next. What is your thoughts on moving on from a missioning Raven? I'm probably not the best person to ask about missioning ships, the last time I ran a mission was years ago! The next article will probably be tier 3 BCs, then who knows. I think I've died to a solo Scorpion before, but I was in a Thrasher and he took ages to kill me. On an Armageddon, a C-type deadspace ANP is a common replacement for the EAMN. Same stats, no CPU. You also mention Apocalypse in your Armageddon discussion. Good read though! Superb - thank you -your ship guides are a far better write up than anything I can think of. Have you done HAC's yet? Im going to be jumping into a sacrilege soon (tm) and theres not too many opinions about this ship that I have been able to find. As for smartbombing bs, dont ever kump into rancer!! 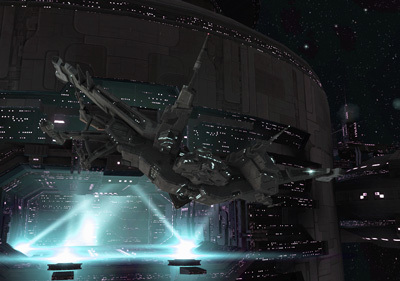 Would love to see an article on the various command ships Azual. In your opinion, have the Crucible hybrid upgrades improved the viability of the Gallente battleships and Rokh to the point where they are comparable to the Matar and Amarr ships? Difficult to say. Large ACs and pulses have the advantage of covering all common engagement distances, meaning you'll rarely fight anybody that you can't hit back. Blasters don't, and on a slow ship like a BS that will always be a limitation. If you can control the range of the fight (getting a drop on an opposing gang at 0 for example), I think blaster BS have the potential to be devastating, but I don't think Eve tactics have really caught up to the change yet. The risk involved too will probably mean that it never becomes a mainstream tactic. Rails I think are now on par with (or slightly better than) beams and rail battleships are noticeably buffed. That said, you don't see all that many beam BS either - the alpha strike of artillery is hard to pass up. Awesome articles! I hope you'll do one on the faction BSes as well.